Good Lord! Two weeks into the FUTURE!!! Ugh yes we get it already. Tiki likes to post form the future. No need to comment on it EVERY time you find one. 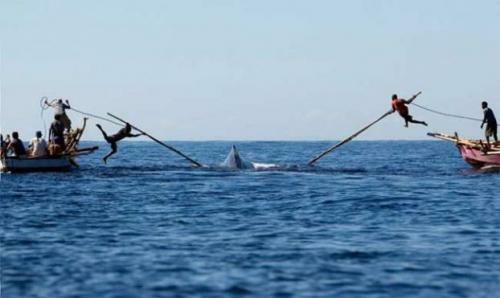 It is a new kind of sport, a cross between pole jumping and whaling :-). Thats how whaling ist done by real men.